Mr. Abid Ali Habib is a shareholder director on the Board of Pakistan Stock Exchange Limited. He is the Chairman of the Trading and Commercial Affairs Committee of PSX. He is also a member of the Human Resources and Remuneration, Listing & Voluntary Delisting, Audit, and Market Development & New Products Committees of PSX board. As a member of the Listing Committee, he plays an instrumental role in approving the listing applications and prospectuses of various reputed companies. 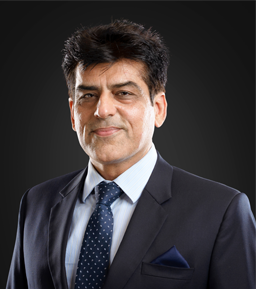 He has previously served as the Chairman and Chief Executive of Abid Ali Habib Securities (Private) Limited and as the Director of Aba Ali Habib Securities (Private) Limited. He has served on the board of the stock exchange for various terms between the years 1995 and 2015. During these terms, he has been a part of various Committees constituted by the Board, as Chairman or member. He played the central role in conceptualization, planning and design of internet-based order routing system and also supervised, implemented and tested Karachi Automated Trading System. As a member of Demutualization Committee of KSE during the years 2005, 2006 and 2010, Mr. Habib was the key figure in preparation of Preliminary Report on proposed demutualization of KSE, identifying various issues and recommendations thereon, in line with existing models and international practices. Ultimately, the objectives of corporatization and demutualization were achieved in 2012. He was also actively involved in the listing process of PSX and played a key role in the roadshows conducted by the Consultant to the Issue for sale of shares of PSX through book building. Mr. Habib held the position of Chairman, Companies Affairs/Corporate Governance Committee of KSE for the years 2010 and 2011. During this term, a number of tasks were initiated and successfully completed, having positive impact on overall regulatory environment of the Exchange. Some of the major achievements included (i) various amendments in Listing Regulations; (ii) action against delinquent/non-performing companies in violation of Listing Regulations; (iii) revision of annual listing fee; (iv) mechanism for verification of rumor mongering in the market pertaining to listed companies/securities; (v) implementation of revised Code of Corporate Governance; (vi) measures for disclosure of information to market participants/investors pertaining to sale/purchase of securities by any director, CEO or executive or their spouses; and (vii) revision of criteria for selection of Top Companies.